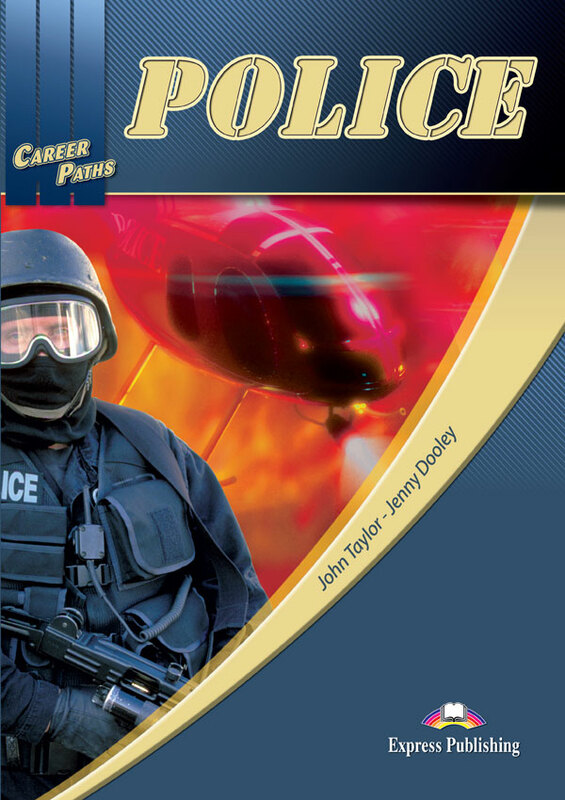 Career Paths: Police is a new educational resource for people who are serving or intending to serve as professionals in law enforcement, and who want to improve their English communication skills in a profession-oriented environment. 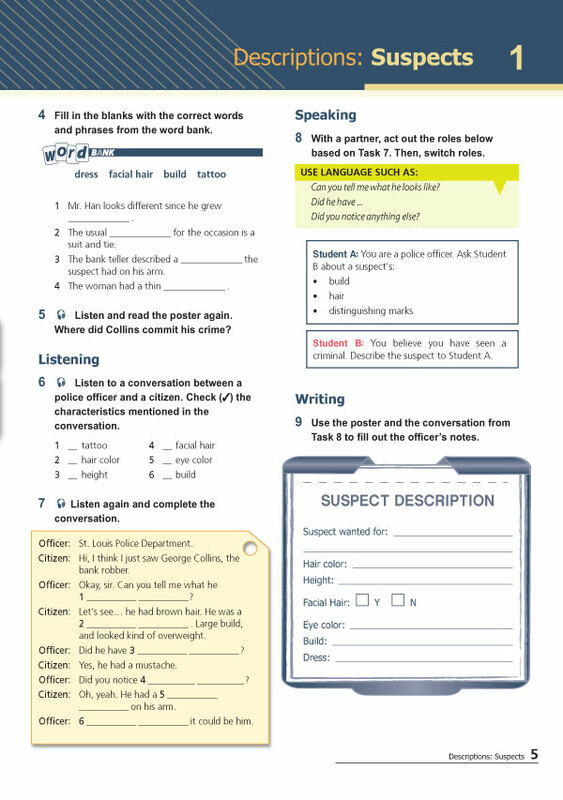 Incorporating career-specific vocabulary and contexts, each unit offers step-by-step instruction that immerses students in the key language components. 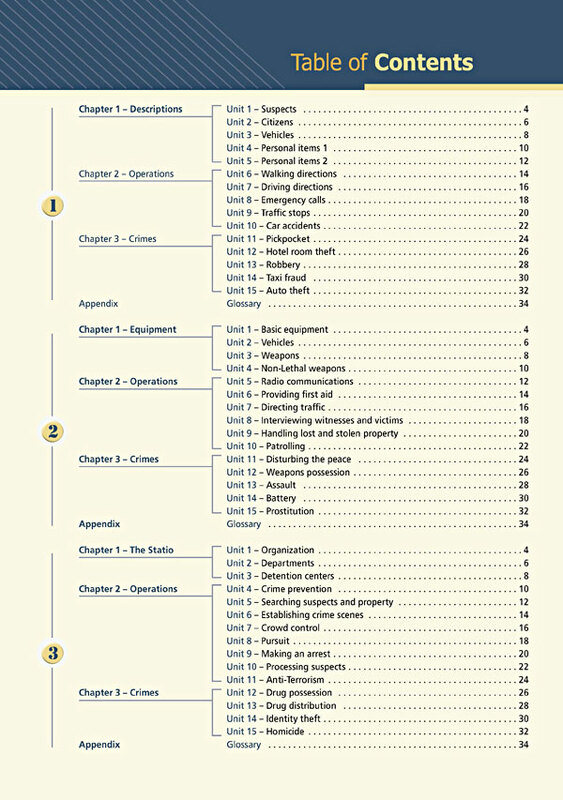 Career Paths: Police addresses topics including: description of people, vehicles and possessions, specific police operations, types of crime, police equipment, administration, organization and command and many more. 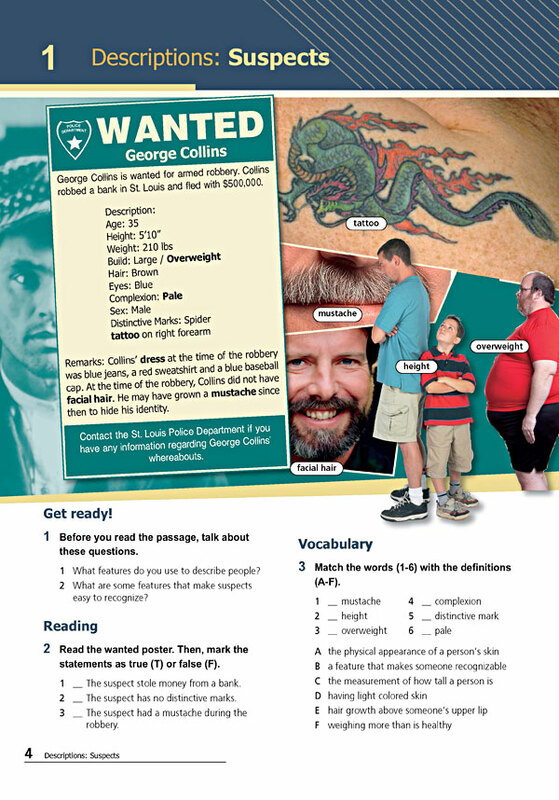 The series is organized into three levels of difficulty and offers over 500 vocabulary terms and phrases. 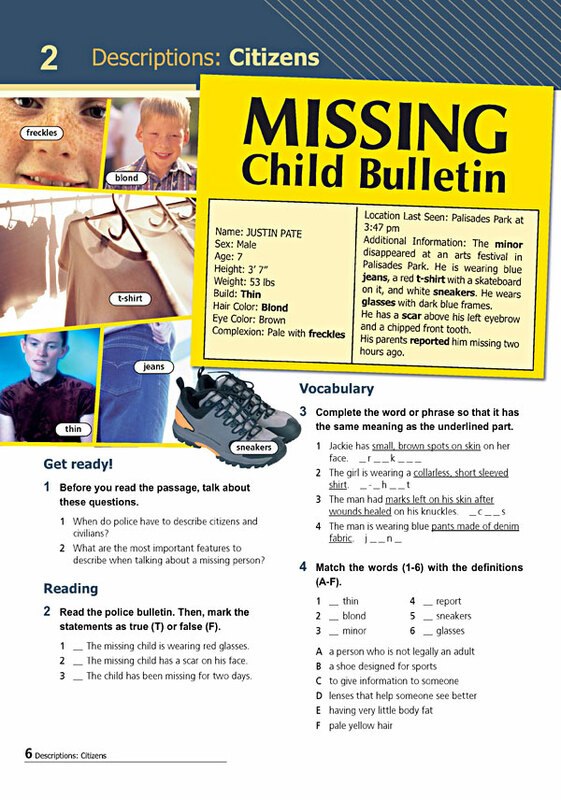 Every unit includes a test of reading comprehension, vocabulary, and listening skills, and leads students through written and oral production.